It turns out that music is far more than just a tool to enhance the lives of school-age children and adults. In fact, it is a fantastic aid when it comes to the developing brains of our smallest family members. A study by scientists at the University of Washington’s Institute for Learning & Brain Sciences (I-LABS) shows that a series of play session incorporating music improved the ability of 9-month-old babies to process the sounds of both music and speech. This enhancement in the learning of babies is because, like music, language has strong rhythmic patterns. The timing and placement of syllables help listeners define one sound in a speech from another, giving an overall understanding of what someone is saying. The researchers at I-LABS designed a randomised control experiment to see if teaching a music rhythm will help the babies with speech rhythms. Over the course of a month, thirty-nine babies attended twelve 15-minute play sessions in the lab with their parents. In these groups of two or three, they sat with their parents, being guided through various musical activities. Twenty of the babies were assigned to a musical group. In this group, the experimenter guided the babies and their parents through waltz-pattern music, instructing each of them how to tap their way along with the music. The remaining nineteen babies were assigned to a non-musical control group. They played with toy cars, blocks, and other objects that required coordinated movements that did not involve music. Within a week after the play sessions had ended, the families returned to the lab for their brain responses to be measured. The researchers then used magnetoencephalography (MEG) to see the precise location and timing of the babies’ brain activity. While they sat in the brain scanner, the babies listened to various incorporating music and speech. Each of the sounds was played out, with the rhythm occasionally being disrupted. This measurement intended to register the particular response each babies brain had to the change, indicating whether or not they could detect the disruption. The focus of the researchers’ analysis was two specific brain regions, the auditory cortex and the prefrontal cortex. These areas play an important roll in cognitive skills, such as controlling attention and detecting patterns. 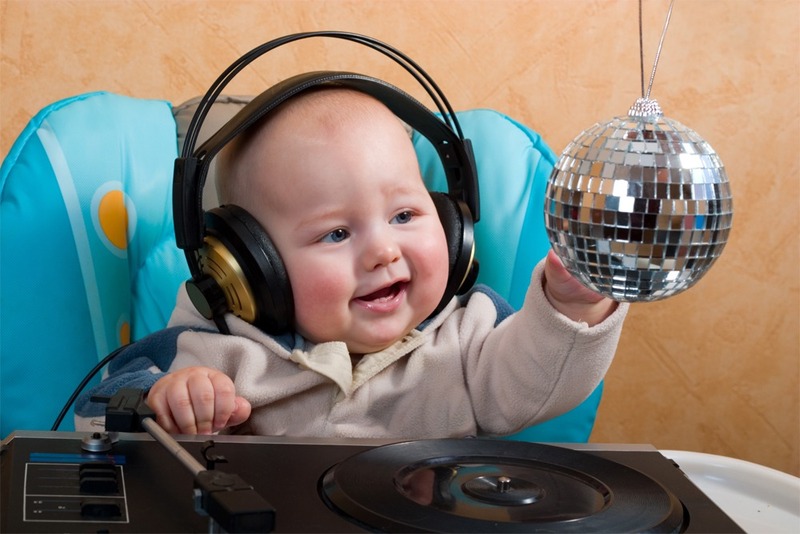 Babies in the musical group had significantly stronger brain responses to the disruption in both musical and speech rhythms. Compared the babies from the non-musical control group, their auditory and prefrontal cortexes had substantially more notable responses. This strongly suggests that the participation in musical play sessions had improved the ability of the infants to detect patterns in sound. Research like this is pivotal in understanding the importance of music in our lives today. Not only does it enrich the experience of adults and older children, but it also plays a role in enhancing an infants understanding of this complex world. So, though an infant may be much too young for a formal music education, they’re never too young for music to become an important part of their life.